The Incursean battle begins! Multi-alien combos! 10 alien forms! Ben 10 Omniverse 2 has everything fans love about the hit series: Aliens, Action, and an all-new Adventure! The fastest Ben 10 game ever puts Ben in a race against the clock to make every alien transformation count in his battle against the all-new Incursean invaders. Set off on an all-new adventure with Ben as he infiltrates Incursean battleships to save the resistance fighters. Face off against new enemies featuring authentic voices in an all-new story written by the writers of the actual Ben 10 Omniverse TV series. 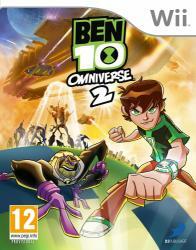 All-new chase and brawl sequences and fast paced alien switching action make this the most intense Ben 10 game yet!